A hypothetical story (in case the FBI happens to be a fervent reader of my blog) - while I was in China, I might have been convinced by a video salesman to purchase an illicit copy of this movie. I would never have heard of the movie, so I would be unimpressed by Tom Hank's tattooed face on the cover and the promise of an "ensemble cast" (we all know how I feel about those). However, say the salesman guaranteed I would like the movie, or I would be allowed to return it. Considering the usual return policy in China (someone either laughs in your face or just yells at you until you leave their store/booth), it would have seemed enticing to me. But had I purchased the movie, I would have discovered that it was dubbed in Korean, with Chinese subtitles. Sigh. So I am back in America, and legally rented this movie, in English. I had little additional information about the movie, except that it had been nominated for a Golden Globe and that one of my readers recommended it. Of course, this same reader recommended such gems as In Time and Looper, so you can see what took me so long to get around to watching this. That being said, the movie isn't terrible. In fact, I don't really know how to describe it except to say that it's weird. In sci-fi, you're always expecting a little weird, but this movie is pretty out there. 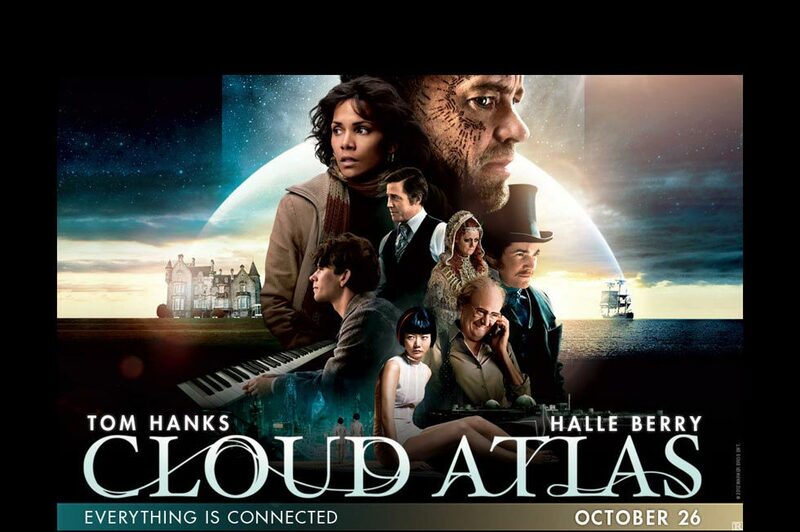 I appreciate the effort to cover a diverse range of time periods, but the futuristic storyline where Tom Hanks looks like he's recreating his wardrobe on Castaway really misses in the linguistics department. Perhaps language will have deteriorated into a hot mess of dangling modifiers and misplaced prepositions (as if it isn't already?!? 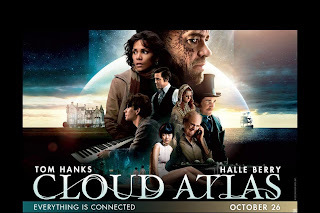 ), but watching Tom Hanks and Halle Berry trying to speak pidgin is not just wrong, but painful. My biggest problem with the movie, however, is that it sustains a complex and intelligent theme throughout the first 2 hours and oh, 20 minutes of the movie, only to throw in the towel and summarize the entire meaning at the very end in a voice over narrative. Either the audience is smart enough to figure out the meaning of the movie, in which case they don't need the recap, or they're not, in which case they would never sit through the whole 3 hours of this movie. All I'm asking is that a writer and director trust their skills enough to convey a message without having to spell it out for its viewers. Otherwise, don't try to make a smart movie. And by the way, it certainly did not need to be 3 hours long. I know we're living in an age of increasing ADD with the constant stream of entertainment and I spend a considerable amount of time complaining about people's inability to focus on anything for longer than 10 minutes, but honestly, 3 hours? I can't think of a single movie that needs to be 3 hours long. Even Citizen Kane is under 2 hours. Final word: You need a lot of patience and possibly an existential crisis to make it through this movie, and I imagine even more so to make it through the book upon which it was based. i thought this movie was so lame. and that a white halle berry kinda looks like madonna.